Two days in Victora where we had a quick look around the city, went whale watching and watched an ice hockey match. 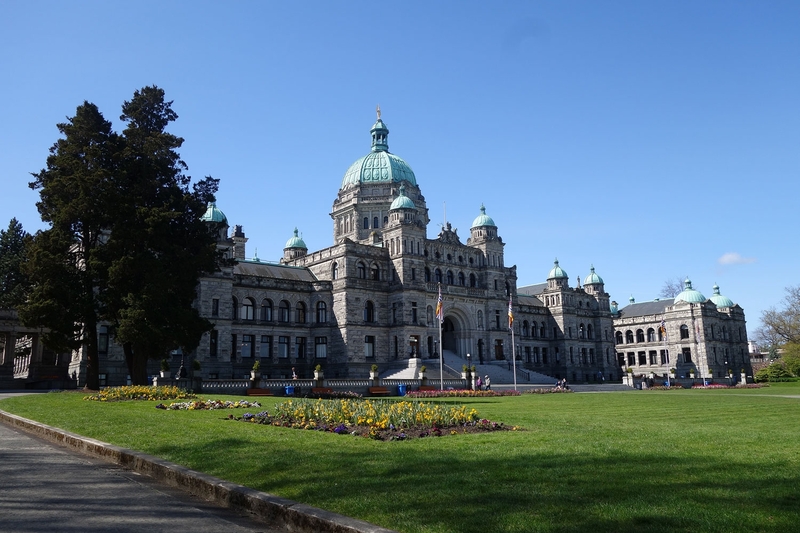 As mentioned in the previous post, we had planned most of Canada before leaving and Vancouver Island was another one of the places that was highly recommended but we didn't have a lot time for so we decided to allow for two days in Victoria to try to get a taste of it. We knew we had to get a ferry from Vancouver so just assumed it would be from the harbour in the city and would take us to Victoria. It wasn't until the day before when we looked it up that we realised both ports were outside both cities and so the journey actually consisted of a sky train, bus, ferry and then another bus. It wasn't so bad though and we managed to find everything easily with no drama (almost a first for us with public transport I think). 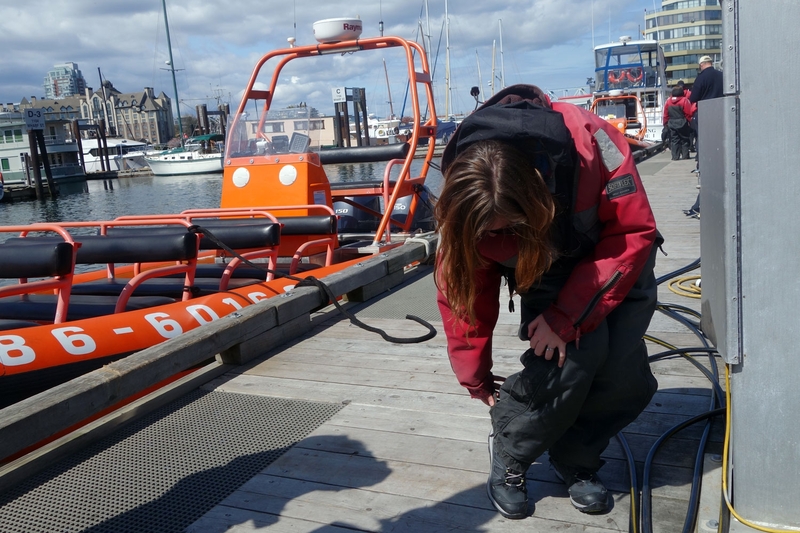 We got into Victoria quite late so decided to sort out things like laundry and admin that evening. The next morning we started with having a look around the city. We visited the public market which was cute but not as big as we were expecting. Then we headed down to the Parliament Buildings which are a fairly impressive structure down by the harbour. We had heard there were free tours so we popped in to check only to be told they were in the afternoon which we couldn't make because of whale watching. Instead we did the self guided tour where you get given a book with information and can wander around yourselves. We actually were walking around at the same time as a private tour so just listened in and pretty much got the your experience! Around lunch time we walked around some shops and the harbour area and then it was time for whale watching. 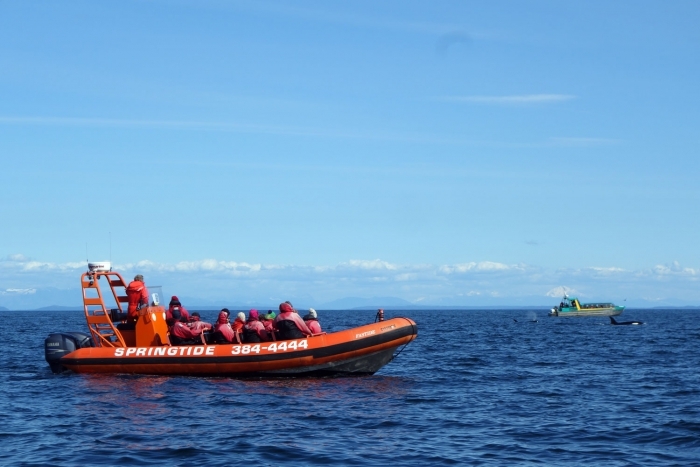 We hadn't really planned to go whale watching but in the days before going to Victoria I had a thought that I had heard people do go whale watching there, that's it's a famous place to do it. So I did some googling and realised that yes, it is something tourists do in Victoria. The season is only just starting but since we had never seen wild whales before (and needed to add to our collection of wild dolphins, penguins, alligators and turtles) we decided we might as well give it a go. 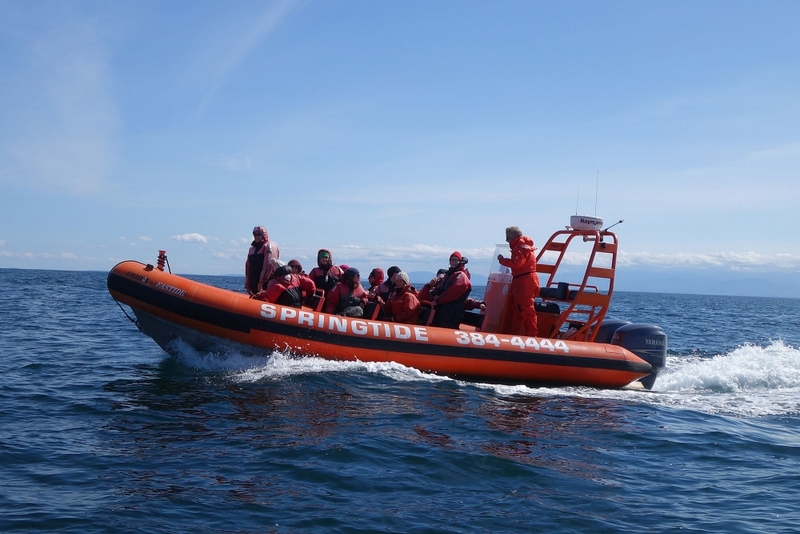 We went with a company called Spring Tide pretty much because our hostel offered a discount which made them the cheapest and they were well reviewed online. 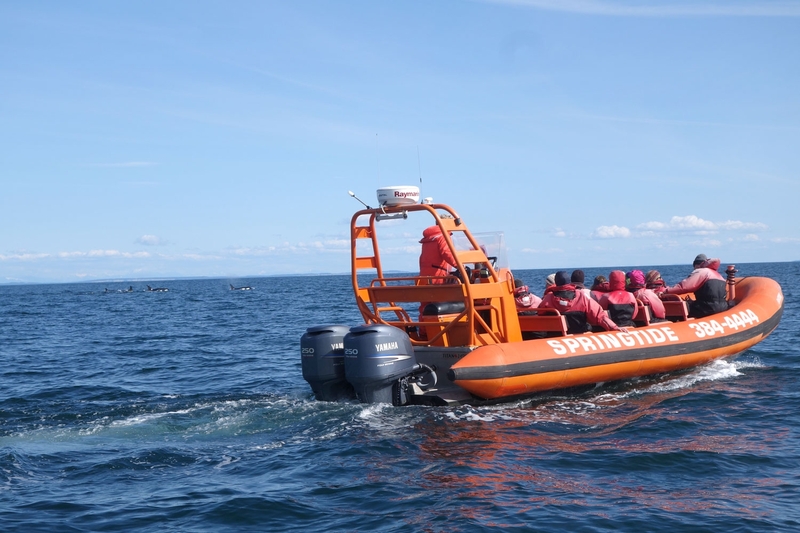 Turns out all the boats communicate anyway to make sure everyone gets to see the whales if they are around, we saw 3 other companies at the same place when we were out. On arrival at the office you sign a waiver and then head down to the docks where we were given big full body floatations suits and hats and gloves (which I almost didn't take as it was so sunny but soon appreciated then when we got out on the ocean). 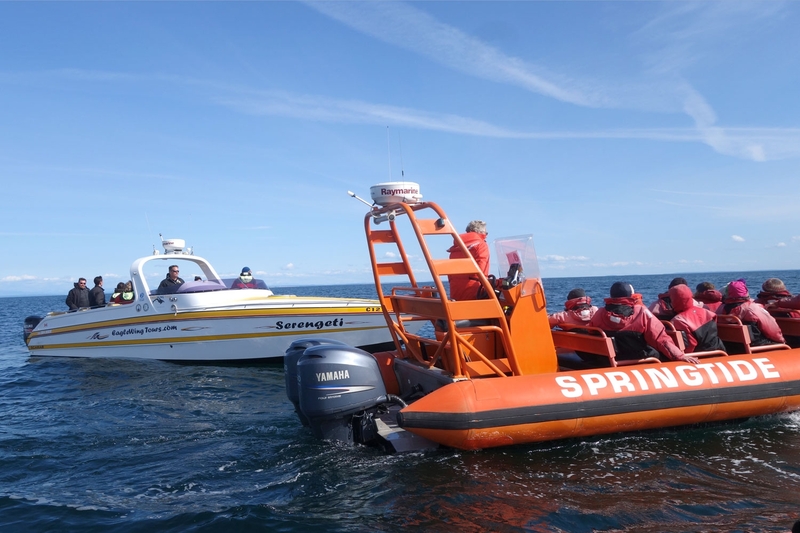 Then you hop into the speedy zodiac boats and you're off! About 10 minutes in, our captain got a call on the radio and we started speeding off in a particular direction leading me to believe that whales had been sighted and I wasn't wrong. 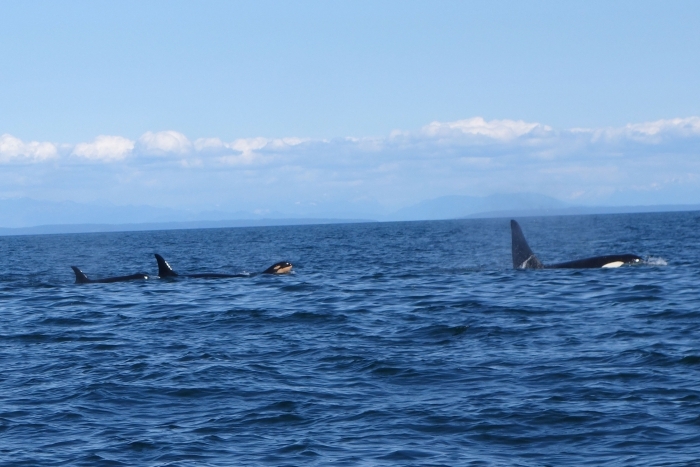 A little while later we spotted some boats ahead and then some very large fins in between them. 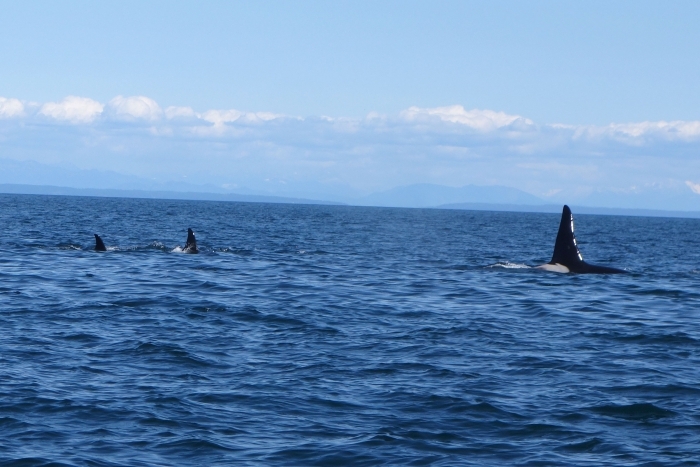 We ended up following this pod of about 8 orca whales (with two babies) for about an hour. The boats have to maintain 100 metres of distance from the whales but if they start to come towards the boats too quickly they just shut the engines off so as not to disturb them and let them come. 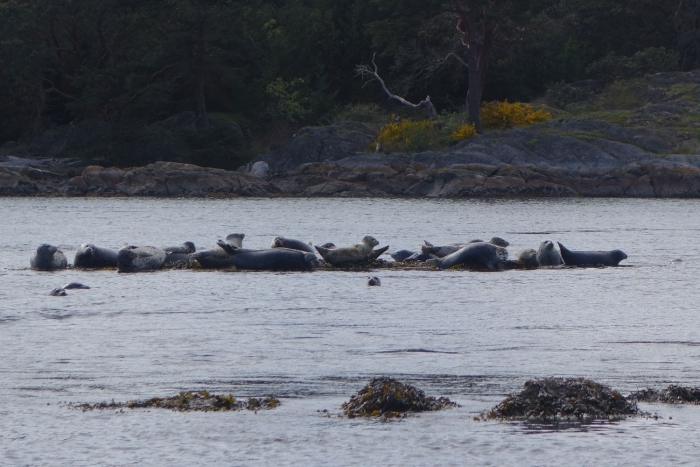 We got pretty close to some which was awesome but apparently on some days they come right up to the boat! Our captain was great, providing us with loads of information about orcas whilst we drove along beside them. We were pretty lucky so early on in April to see the whales, and so early on in the tour as well! This has been one of the few times on our trip so far that Alistair's missed the functionality of a DSLR or camera with a better zoom. Because of the 100m range, you may need to do a bit of cropping if you are just using a compact. 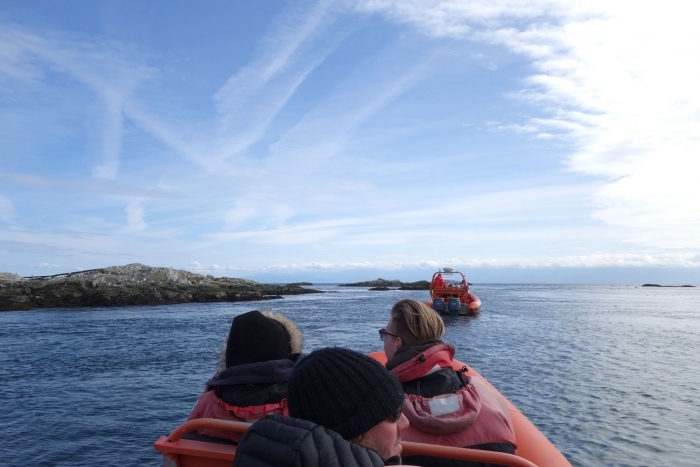 We followed the whales for almost an hour before it was time to head back via some islands to see if we could catch sight of any other wildlife; we spotted lots of different birds as well as mountains of harbour seals. I'm really glad we went out, another fabulous experience and some more animals to add to the collection. In the evening we decided to go to another ice hockey match given how much fun we had the first time and that it was our penultimate night in Canada and we wanted to do something that felt Canadian. 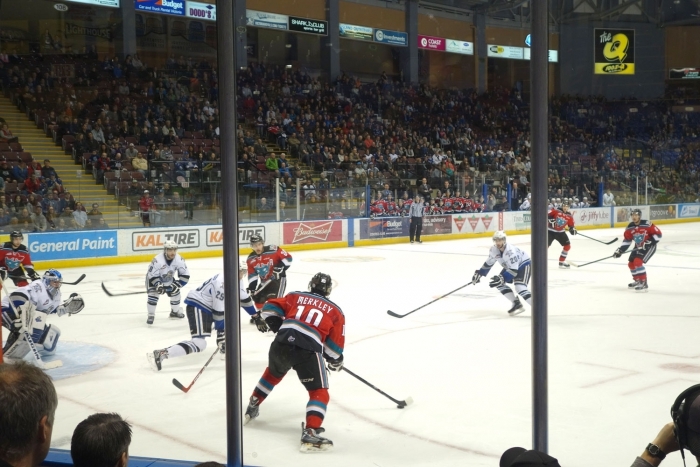 The local Victoria Royals team were playing the Kelowna Rockets after losing to them the night before. This was a CHL game as opposed to NHL which we watched in Calgary but as a result was cheaper, the arena more intimate and the fans more avid! If the Royals lost this game they were out of the league so it was a pretty intense and aggressive match which went into overtime and the Royals managed to score first in overtime. It was a great atmosphere and such an enjoyable night! Now it's time to head back to Vancouver before getting the bus to Seattle tomorrow.